Typhoon TORAJI was formed in west of Kumejima Island. 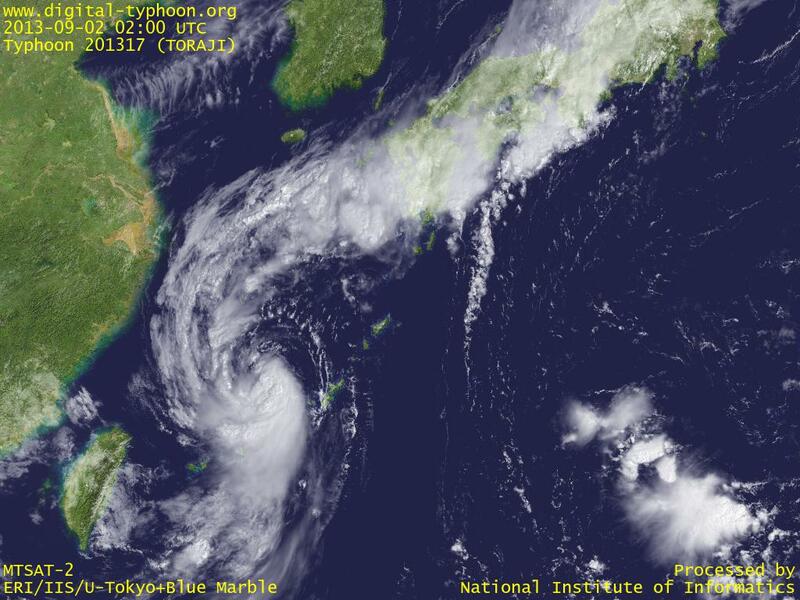 The cloud of the typhoon is extending from south to north, and is connected to the front causing rainy season in autumn. The motion of the typhoon is slow, so if it works as a "fan" sending warm and wet air into the front, it may cause heavy rains in Japan. Please refer to weather radar or severe weather detector to check the current status of heavy rains.